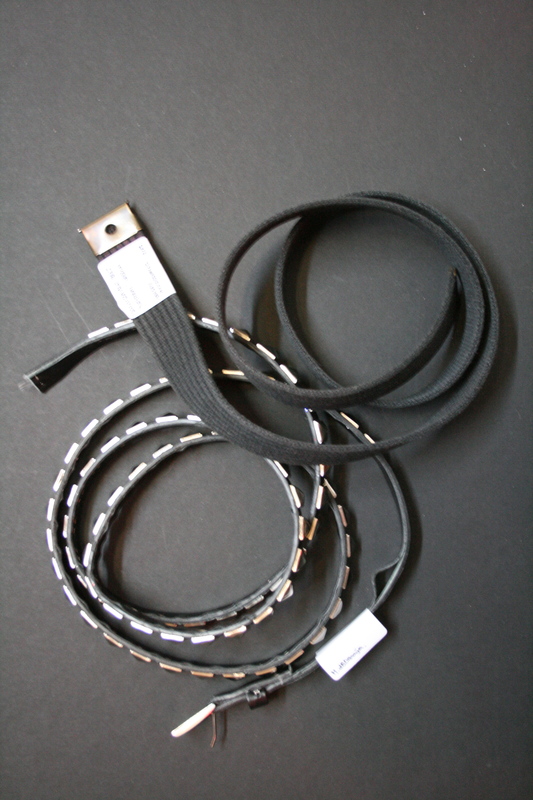 the objects are described as 2 prototypes of a fashion accessory which the owner would like to create. this idea came to the owner after reading a French newspaper’s article entitled “talking about crisis, unemployment, poverty”. it was given to the NHM of Bureau d’Espoir to symbolizes the hope that mankind would not any longer need to do belts up in order to survive. Unlockable belts are the opposite of chastity belts: a means to liberate and remove the differences between men and woman that have been centralized, conceptualized and organized around this area of the human body. the two prototypes are unisex,fitting for men and women indifferently. they borrow from different cultural backgrounds, one is inspired by rock culture, the other is a more discreet and neutral model.